Can you believe it is almost the middle of April?! I'm excited because that means I'm a lot closer to having this baby. Today is the day Citrus Twist reveals their April Kits!! 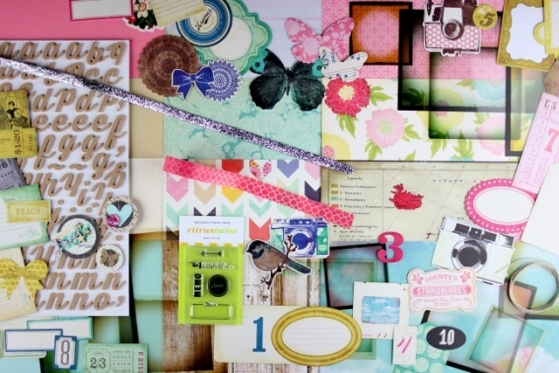 These kits are packed full of brand new products from Crate Paper, American Crafts, MME, and many more! Here is my layout using the April Main Kit and Embellie Kit. Thanks so much for stopping by!! Hope you have a wonderful weekend! i absolutely adore this combo of aqua & yellow - so fresh! this is GREAT love the butterfly!